Create beautiful harmonic tones with this amazing sound Tongue Drum. 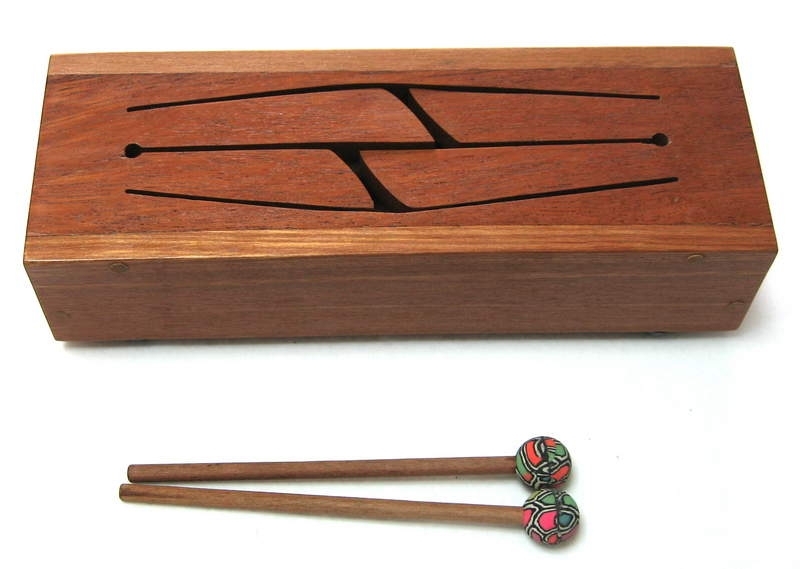 The Mahogany box is designed to produce rich resonance and features four playing areas. The drum comes complete with two mallets. Explore your musical side with this easy-to-play instrument. Great for kids and as gift for anyone that enjoys mellow, harmonic music. Dimensions: 13L x 5H x 5W in.